Posting in honor of Downtown Abbey’s announced final season. York is a lovely medieval city with cobblestone streets, some were even flagstone. There were many street markets set up for Christmas shopping, the Brits love to shop! We enjoyed the street actors and the vendors in the town square. As it was raining and our feet were tired, we slipped in a shop for tea and biscuits. Tea time is a wonderful way to rest your feet after a day of walking. 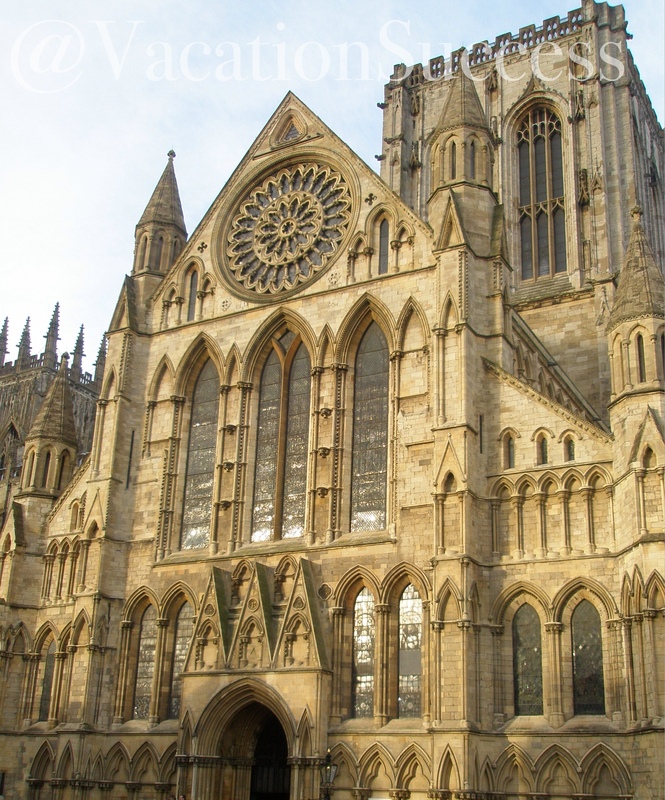 Our main reason for going to York was to see the York Minster, a wondrous and historic cathedral. It is the largest cathedral in England, it is massive and beautiful. We thought it is almost as spectacular as Westminster Abbey in London. The Bishop of York is #3 in line as the head of the Church of England. The Queen of England is the head of the church followed by the Bishop of Canterbury and then the Bishop of York. 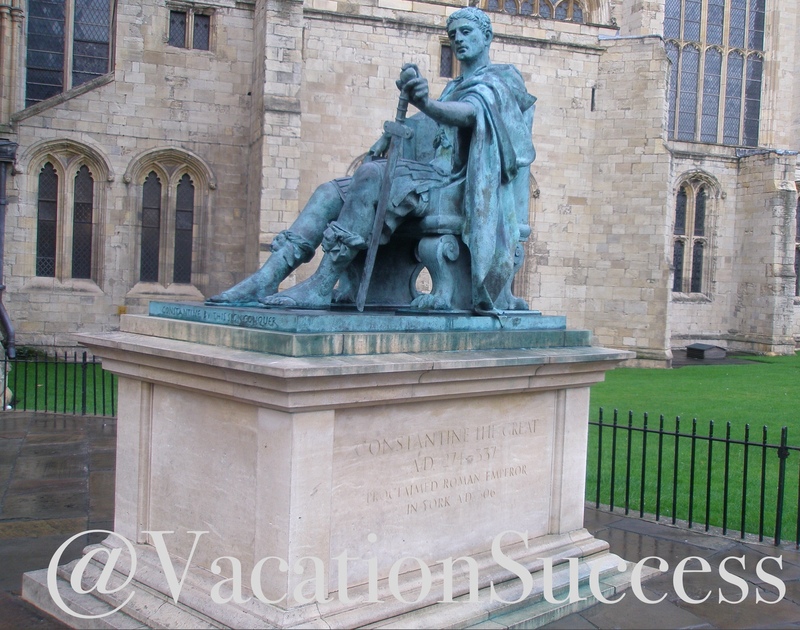 Outside you will see a statue of Constantine who was proclaimed Emperor of the Roman Empire at York in 306 AD. He converted to Christianity which changed the Roman Empire forever. This area holds so much history, it is worth a trip. Off to Leeds for dinner and hotel. Leeds has a wonderful University. On our way home, we drove through the Yorkshire dales. This area of England was made famous by James Herriot in “All Creatures Great & Small” series of books. The dales are grassy valleys and rolling hills featuring stone fences to keep the livestock in while grazing on the plush grasses. All the homes and cottages are made of stone as are most of the barns. It is like stepping back in time. This area is where Downton Abbey is supposed to take place, York and Rippon being the area towns.